Having scoped earlier (see also the Addendum) the smoky side of Scotch beer, let’s drink some, shall we? Well I will. 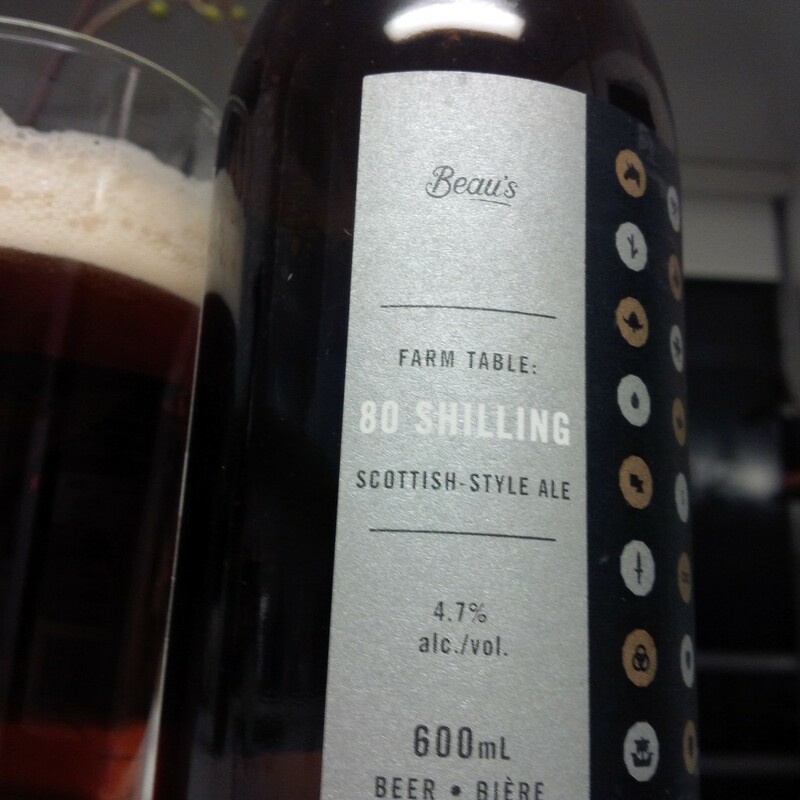 If Ontario isn’t a Scottified outpost, I don’t know what is, so Beau’s 80 Shilling is a good place to start. There is a fruity yeast background, a biscuit malt taste I recognize from somewhere but can’t place, and a touch of the advertised organic roasted barley. Earthy, slightly drying, not smoky in this case. A good beer that would be outstanding on cask. Aye, laddie, ’tis a bonny beer – where’s the whisky?